Do you have some text that should be saved and shared in PDF format? Well, just paste your text in Notepad (TXT) file and convert that file into PDF format using free converter – iStarSoft TXT2PDF. Select one or more text files, chose PDF destination folder and hit the convert button. It will convert selected text file into PDF format. It also allows you to merge multiple text files into single PDF file. You can reorder text files in converter window to customize final merged PDF file contents. 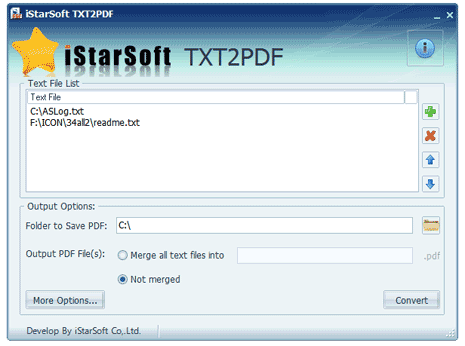 Download iStarSoft TXT2PDF converter [link] and perform text to PDF conversion real easy.